Why Can’t An Amendment Be Brought To Exclude ‘Toddy’ From The Definition Of ‘Liquor’, SC Asks Kerala Govt. 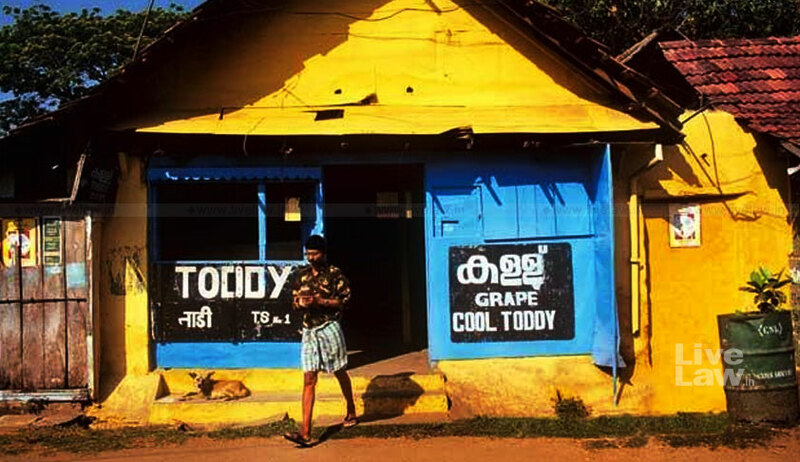 The Supreme Court on Thursday took up the writ petitions filed by the Kerala Toddy Shop Licensee Association and Vaikom Taluk Chethu Thozhilali Union seeking a direction to the Kerala government to not treat ‘toddy’ as ‘liquor’ while enforcing the highway liquor ban in the state. “Why can’t an amendment be introduced in Kerala Abkari Act excluding ‘Toddy’ from the definition of ‘liquor’? Then no issue shall remain”, asked Chief Justice Dipak Misra to senior counsel V Giri, representing the Government of Kerala. The countrywide highway liquor ban was enforced following the Supreme Court judgment dated December 15, 2016 in State of Tamil Nadu & Ors v K Balu & Anr. “The judgment of the Supreme Court banning the sale of liquor along highways does not proceed on the definition of ‘liquor’ in any state; it proceeds on the concern regarding drunken driving. So if in a particular state, ‘toddy’ is included in the definition of ‘liquor’ because of its miniscule alcohol content, it should not stop this bench from carving an exception in respect of ‘toddy’, which is a traditional drink with many qualities”. “Although ‘toddy’ is ‘liquor’ for the purpose of the Kerala Abkari Act of 1902, it is sui generis. Also, the empirical statistics of instances of drunken driving in Kerala are different because of the topography of the state,” he continued. “How many toddy shops are there in Kerala,” asked Chief Justice Misra. “There are 5,185 licensed toddy shops in Kerala of which many have been closed on account of the actions of the state in treating toddy as ‘liquor’ for enforcing the directions of the Supreme Court. Please take note that unlike IMFL, where the area of the licence is wide, it is not so in case of toddy. The shops cannot even be shifted. Several exemptions have been granted from the judgment in K Balu, like in favour of the North-eastern states of Meghalaya and Sikkim. Please grant an exemption in respect of toddy in the same spirit,” submitted Ramachandran. The petition filed by the association averred that though toddy finds its mention under the definition of ‘liquor’ under the Kerala Abkari Act of 1902, the very fact that ‘toddy’ has also been separately defined under Section 3(8) of the Act shows the legislative intent in treating toddy separate from ‘liquor’. Toddy has been defined under the said Act as distinct from ‘spirits’, ‘beer’ and ‘arrack’. The Government of Kerala in 2003 had exempted toddy from the application of the rule of observing a Dry Day (day on which sale of liquor is prohibited) by inserting a proviso to Rule 7(11) (vii) of the Kerala Abkari Shops Disposal Rules, 2002. The matter is scheduled for further hearing on February 16.